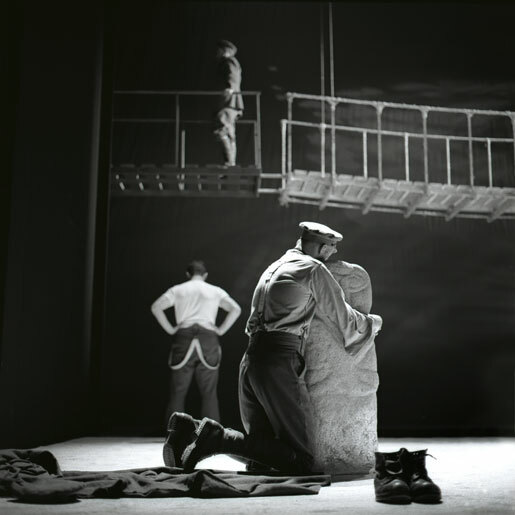 Patrick Mason joined the Abbey Theatre as Voice Coach in 1972, working with Hugh Hunt (The Silver Tassie) and Michael Cacoyannis (Oedipus) as an assistant director, and devising and teaching courses in voice and movement in the Abbey School of Acting. He was appointed Fellow in Drama at Manchester University in 1974, and subsequently Lecturer in Performance Studies (1975-78). While at Manchester University he developed and taught courses in movement, voice, and acting, at graduate and post-graduate level, as well as directing at the Stables and the University theatres. He returned to the Abbey as Resident Director in 1979, where he was active in developing new writing, devising actor’s workshops, and working as a freelance director in Ireland and England. 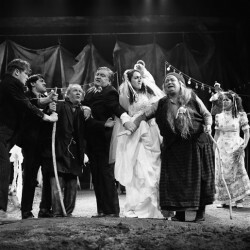 Between 1980 and 1983 his productions included John Bull’s Other Island and The Seagull for the Irish Theatre Company, She Stoops to Conquer and The Rivals for Greenwich Theatre, London and Kreig by Liam Lynch, at the Project Arts Centre. He won a Harvey’s Irish Theatre Award for his production of The Pirates of Penzance at the Olympia Theatre in 1981. He left the Abbey to work as a freelance director in 1983. Productions during the next decade included: The Crucifer of Blood at the Bristol Old Vic and A Woman of No Importance, his first production at the Gate Theatre. In 1985 he directed Saint Joan at the Guthrie Theater, Minneapolis and Heartbreak House and Innocence at the Gate Theatre, Dublin. In 1986, he directed Michael Frayn’s new translation of The Seagull at the Palace Theatre, Watford. Other theatre work includes The Importance of Being Earnest and The School for Scandal at the Gate and Desire Under the Elms in Greenwich. He won a Harvey’s Award for his production of Peer Gynt at the Gate Theatre in 1988. During the 1980’s he also moderated Playwright’s Workshops at the Guthrie Centre, Annamakherig, and at University College Galway, where he first met and collaborated with Frank McGuinness. He also directed regularly at the Gate Theatre, productions which included The Recruiting Officer, Heartbreak House, The Threepenny Opera, The School for Scandal, and Innocence by Frank McGuinness. During that decade he kept up his association with the Abbey and Peacock Theatres, working on productions such as: Our Town, Mrs Warren’s Profession, You Never Can Tell, A Flea in Her Ear, The Winter’s Tale, The Cherry Orchard, Arms and the Man, A Pagan Place, Talbot’s Box (which transferred to the Royal Court, London), The Death of Humpty Dumpty, Canaries, The Factory Girls, The Gigli Concert, Too Late for Logic, The Silver Tassie and six Tom MacIntyre works at the Peacock: Jack Be Nimble, Find the Lady, The Great Hunger, The Bearded Lady, Rise Up Lovely Sweeney, Dance for you Daddy and Snow the Peacock. He also directed Una Pooka and Hubert Murray’s Widow by Michael Harding at the Peacock. 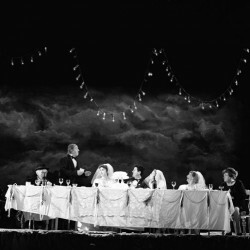 His production of The Great Hunger toured to Belfast, London (Time Out Award), Edinburgh (Fringe First Award), Paris, Leningrad, Moscow, Philadelphia and New York. 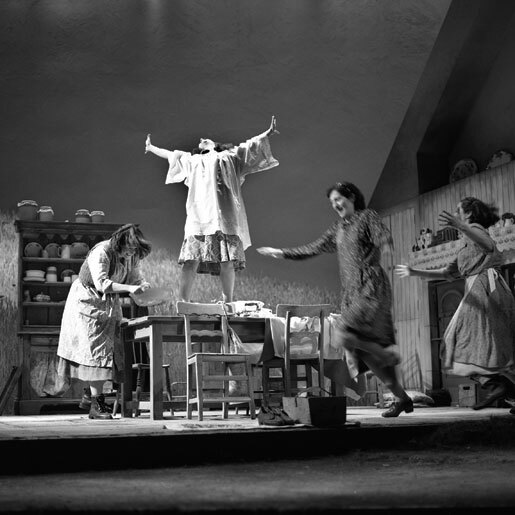 In the early nineties his production of Brian Friel’s Dancing at Lughnasa premiered at the Abbey before touring to the Royal National Theatre and transferring to the Phoenix Theatre in the West End, the Plymouth Theater, Broadway and making a tour of Britain and Australia. For this production he received the Tony Award for Best Director in 1992, and the NYC Critics Circle Award. In 1993 he directed the premiere of Friel’s Wonderful Tennessee for the Abbey Theatre which transferred to the Plymouth Theater, New York. In 1993, he was appointed Artistic Director of the Irish National Theatre Society (Abbey & Peacock theatres). In 1997 he was re-appointed for a second term, finally stepping down, and returning to freelance work in theatre and opera, at the end of 1999. 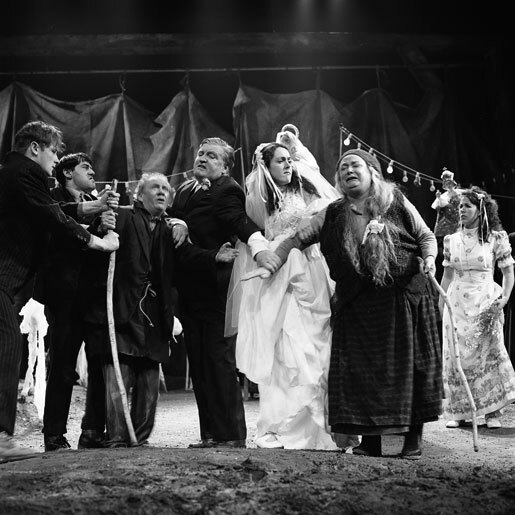 Productions for the Abbey Theatre during his time as Artistic Director include: Hugh Leonard’s Chamber Music, Observe the Sons of Ulster Marching Towards the Somme by Frank McGuinness. The Well of the Saints by J M Synge (Edinburgh International Festival, Critics Award), Brian Friel’s Philadelphia, Here I Come, Angels in America by Tony Kushner, The Only True History of Lizzie Finn by Sebastian Barry, Macbeth, She Stoops to Folly by Tom Murphy, The Importance of Being Earnest, The Secret Fall of Constance Wilde by Thomas Kilroy, the first production of The Bog of Cats by Marina Carr, The Wake by Tom Murphy (Edinburgh International Festival) Saint Joan and Dolly West’s Kitchen by Frank McGuinness, which transferred to the Old Vic, London. In 2001 he directed a Danish language production of Who’s Afraid of Virginia Woolf in Arhus, and in 2002 he directed a UK tour of The Tempest for Thelma Holt/ Theatre Royal Plymouth, starring Richard Briars. He also directed premieres of Brian Friel’s Performances and Frank McGuinness’s Gates of Gold at the Gate Theatre, Dublin, and returned to the Abbey to direct Tom Murphy’s version of Chekhov’s The Cherry Orchard in 2003. In 2004 he directed a new adaptation of Rebecca starring Nigel Havers for an extensive UK tour. In 2005 he directed Twelfth Night for Thelma Holt/Theatre Royal Plymouth, and the following year he directed the US premiere of Frank MacGuiness’s version of Euripedes Hecuba for Chicago Shakespeare Theater. In 2006 he returned to the Gate Theatre to direct Brian Friel’s The Yalta Game (Sydney and Edinburgh Festivals) and Arcadia by Tom Stoppard. He then directed three productions back-to-back for the Gate: Friel’s Molly Sweeney, Coward’s Hay Fever (Spoleto Festival, Charleston USA), and The Speckled People by Hugo Hamilton. The Burial at Thebes at the Peacock and The Crucible in the Abbey and The Rivals. Devising and directing the 80th Birthday Tribute for Brain Friel. In 2012 he directed A Woman of No Importance and Mrs Warrens’ Professsion for the Gate Theatre. In 2013 he directed the premiere of The Hanging Gardens by Frank McGuinness for the Abbey, Dublin Theatre Festival. From 2014 he continued to teach at UCD, and direct at the Abbey and Gate Theatres. Productions included Aristocrats by Brian Friel at the Abbey in 2015, and the first production of The Mariner by Hugo Hamilton at the Gate, as part of the 2014 Dublin International Theatre Festival. He also directed a new producton of The Importance of Being Earnest for the Gate which subsequently played at the Spoleto Festival, Charleston USA. In 2016 he worked as dramaturg and director with UCD and Verdant Productions on Signatories, a major cultural contribution by the university to the 1916 Rising Centenary celebrations. Featuring monologues by Emma Donohue, Marina Carr, Joesph O’Connor, Hugo Hamilton and Thomas Kilroy, it was initially performed as a site-specific production in Kilmainham Gaol, before touring to Irish arts centres, and playing in the Olympia Theatre.